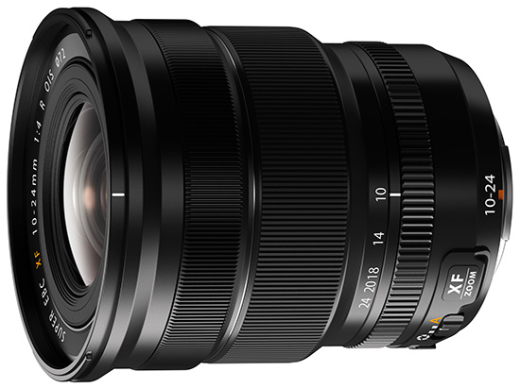 The Fuji 10-24mm f4 R OIS Fujinon Lens is an ultra-wide to standard zoom lens with a maximum f4.0 aperture throughout the entire 2.4x zoom range. Equipped with Fuji’s X-mount, the lens is designed to complement Fuji’s sophisticated and highly advanced X-range of compact system cameras, such as the X-Pro 1, X-E2 etc. The 10-24mm lens is the perfect choice for shooting wide-angle, dynamic landscapes, interior shots, group shots and more. The bright F4.0 aperture and built-in Optical Image Stabilisation ensures detailed, clear results for both stills and videos when shooting handheld, even in environments where there is little available light.